Wow this took me a while to update:) Sorry! We moved to Traverse City which hosts the national Cherry Festival every year and I have been extremely busy introducing the world of cherries to my son. The fourth was great. We celebrate every year on Torch Lake, which is the 3rd most beautiful lake in the world! Every year we do a cookout at a good friends home. Her son is a chef and makes all kinds of goodies. I made a few easy desserts this year that I could throw together quickly after being on the lake all day. I made a red, white and blue trifle, which was super easy. I made the cake the day before and cut into 1 inch cubes. 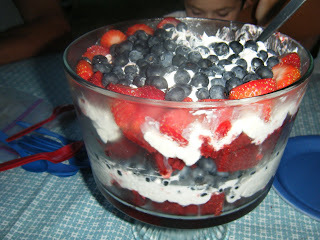 Then layer cake, cool whip, blueberries, then repeat. On the top layer, cut strawberries in half and decorate. These firecracker pretzels are a no brainer as well. 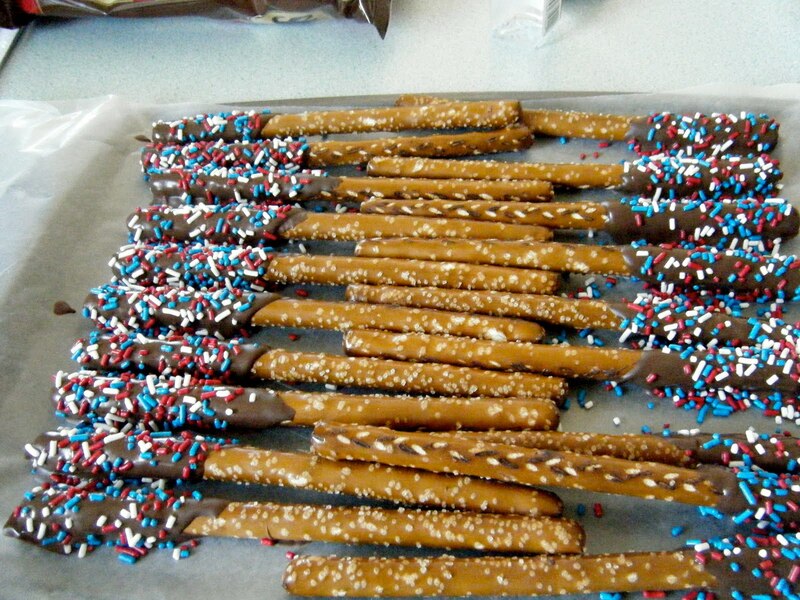 Just take pretzel rods, dip in chocolate and decorate with sprinkles. I did these a day ahead as well. 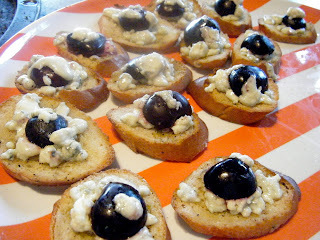 Jeremy made these fab appetizers, which I will definitely copy at my next get together. The 4th was a blast. Good times with good people. Jeremy also made a wonderful bruschetta which I will post at a later date. Enjoy these quick and easy holiday recipes!